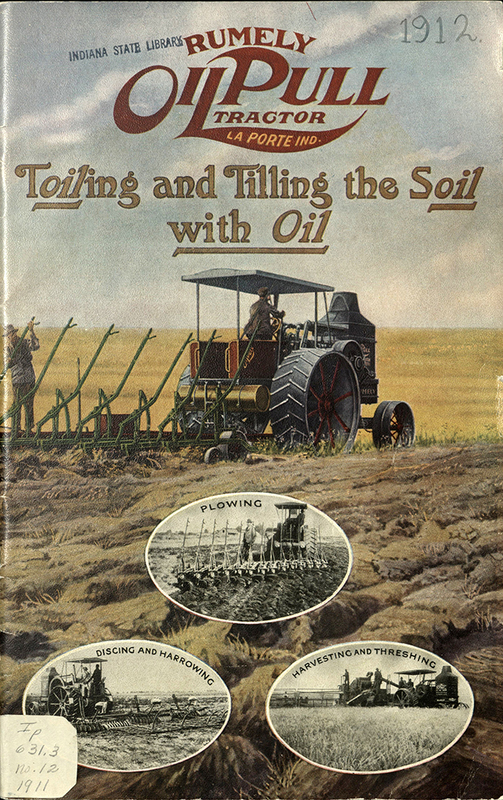 Following Meinrad’s death in 1904, the company continued to grow and bought out its competitors such as Scott-Garr and the Advance Thresher Company (a thresher is a machine that separates grain from the stalks). 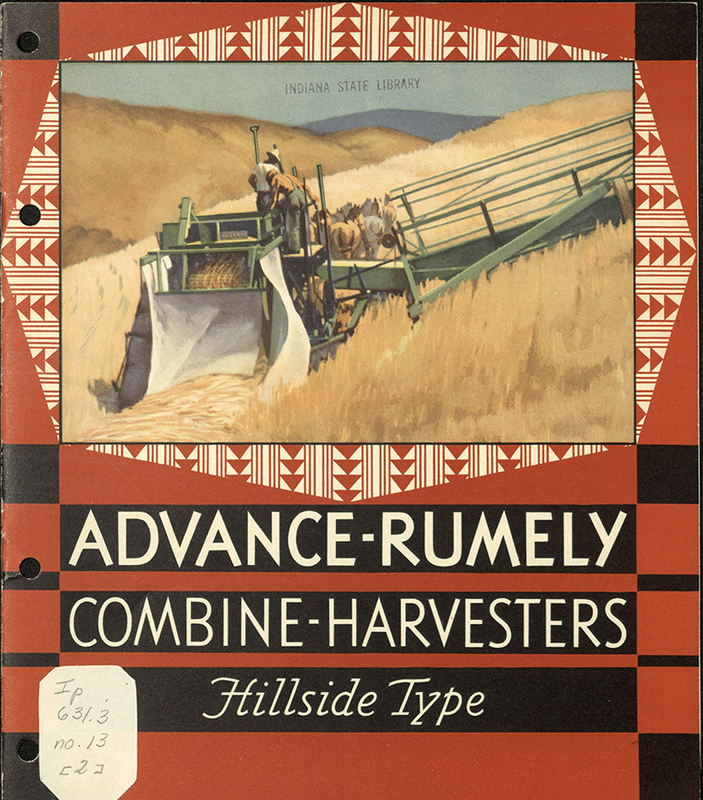 After a couple of administrative reorganizations, the company was officially renamed the Advance-Rumely Company. Although this organization peaked and later declined during the great depression, it left a lasting impact. Citizens all over the country used these products to increase their farm’s production, trusting the reliability and efficiency of the products. To this day, collectors and enthusiasts collect these antiques and ask information professionals for more information about them. This blog post was written by Indiana Division Librarian Justin Davis. For more information contact the Indiana Collection Division at (317) 232-3670 or “Ask-A-Librarian” at http://www.in.gov/library/ask.htm. 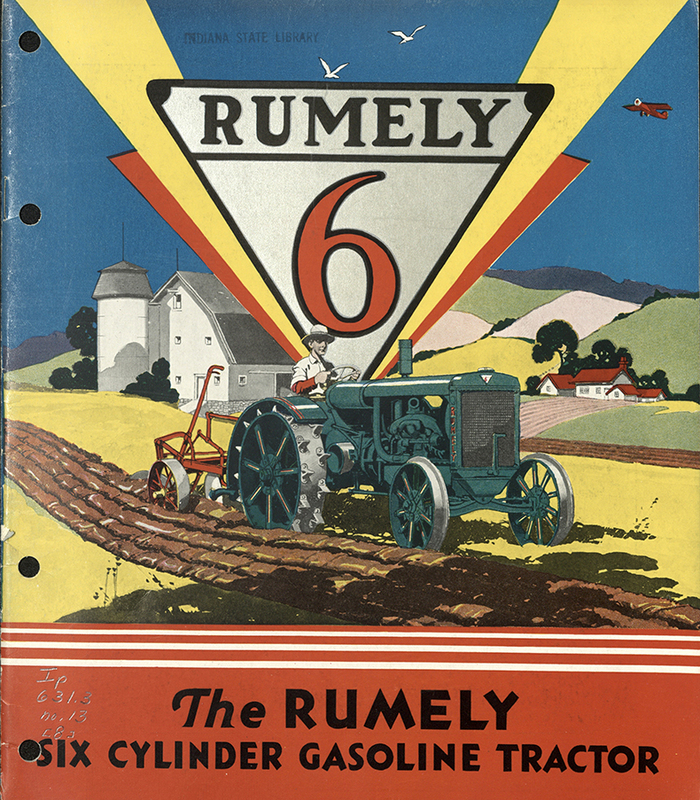 This entry was posted in Indiana Division and tagged Indiana, Indiana History, Indiana State Library, Library, Oil Pull Tractor, Rumley, Tractor by indianastatelibrary. Bookmark the permalink.